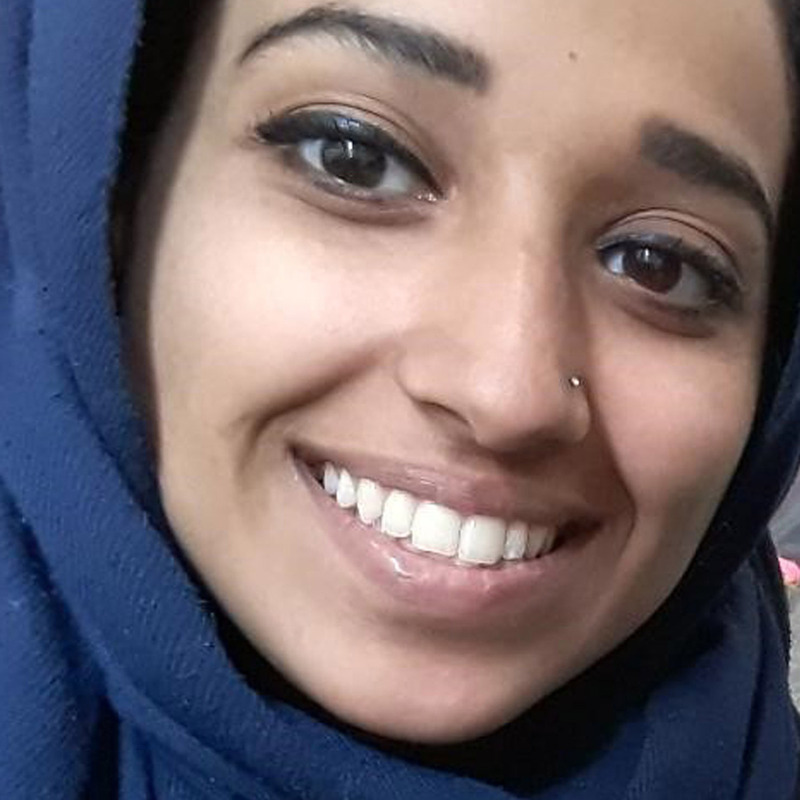 Father Of Alabama Woman Who Joined ISIS Sues Trump Administration For Her Return Hoda Muthana was 20 when she moved to Syria and started posting ISIS propaganda online. Now she wants to come back, but the government claims she is not a U.S. citizen. Her father argues she is. Hassan Shibly, attorney for the family of Hoda Muthana, says she was a "vulnerable young woman who was brainwashed and manipulated." Ahmed Ali Muthana, father of Hoda Muthana, filed the lawsuit on Friday calling on the government to recognize his New Jersey-born daughter's U.S. citizenship and that of her young son, arguing it should "make good faith efforts" to return them both. 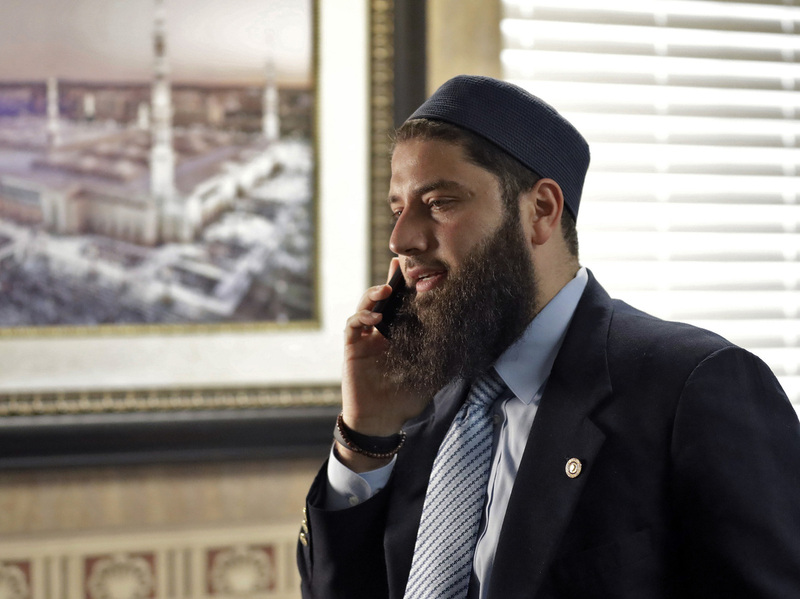 The Constitutional Law Center for Muslims in America filed the civil suit on Muthana's behalf, while the former ISIS recruit turned proselytizer remains in a Syrian refugee camp. "All parties involved, including Ms. Muthana, recognize that success in this lawsuit will likely result in Ms. Muthana's prosecution on allegations of material support of terrorism for her actions while in Syria," the group said in a statement announcing the court filing. "I have instructed Secretary of State Mike Pompeo, and he fully agrees, not to allow Hoda Muthana back into the Country!" Trump wrote Wednesday on Twitter. Muthana was 20 years old when she told her family that she was going to Turkey for a university event. She then made her way to Syria and joined ISIS, became romantically involved with multiple ISIS fighters, had a child with one of them and allegedly spent several years urging attacks on America. Now Muthana wants to come home. The 24-year-old regrets falling in with the terrorist group that brainwashed her online, a lawyer for the family told NPR's David Greene on Morning Edition. "People are saying she betrayed this country, she shouldn't be able to come back home," Hassan Shibly said. But Muthana was a "vulnerable young woman who was brainwashed and manipulated by these criminal masterminds. They took advantage of her and used her, and she deeply, deeply resents them. She deeply regrets it." Muthana isn't looking for a "free pass," Shibly said. "She's asking that she can come and face our legal system and pay whatever debt she may have to society and speak out to ensure other people aren't trafficked and brainwashed and abused as she was." Trump has asked European countries to hold criminal proceedings for their own citizens that joined ISIS. But Pompeo said in a statement that Muthana is not a U.S. citizen and will not be admitted into the country. "She does not have any legal basis, no valid U.S. passport, no right to a passport, nor any visa to travel to the United States," Pompeo said, adding: "We continue to strongly advise all U.S. citizens not to travel to Syria." This image provided by attorney Hassan Shibly shows Hoda Muthana, an Alabama woman who left home to join the Islamic State after becoming radicalized online. Muthana was captured by Kurdish forces after fleeing land controlled by ISIS, The Guardian reported, calling her "once one of Isis's most prominent online agitators who took to social media to call for the blood of Americans to be spilled." Muthana married an Australian jihadist, who was killed while fighting. She then married a Tunisian fighter and bore a son named Adam, now 18 months old. After that husband was killed, Muthana briefly married a Syrian fighter. All the while, according to accusations, Muthana urged Americans to kill in the name of ISIS. "Americans wake up!" she wrote on Twitter in 2015, according to a profile in BuzzFeed News. "Men and women altogether. You have much to do while you live under our greatest enemy, enough of your sleeping! Go on drive-bys and spill all of their blood, or rent a big truck and drive all over them." "Look, it's no secret that Hoda really did go off the deep end," Shibly told NPR. "I mean there was a point where she was calling myself and her parents infidels. She really was fully brainwashed. She was irrational. And now she tremendously, tremendously regrets it. I think she's awoken from their spell." "I thought I was doing things correctly for the sake of God," Muthana told the Guardian. But she has changed, she told ABC News. "I hope they excuse me because of how young and ignorant I was," she said. "And now I have none of the ideology. And hopefully everyone will see it when I get back." Although Pompeo said Muthana isn't a citizen, she and her family say she is a citizen from Alabama, NPR's Ruth Sherlock told All Things Considered. Shibly told the NPR that he plans to file a legal challenge to the government's decision to bar her from the country. The issue is now one of due process and birthright citizenship, Shibly said. "The Trump administration is using this as a test case to revoke an individual's birthright citizenship. It's very clear she was a citizen when she was born," he said. "If they're able to strip somebody of citizenship without the court process, without due process, that's tremendous executive overreach." Muthana has been living in the same refugee camp as British citizen Shamima Begum, who left the U.K. and married an ISIS fighter. The British government has said it would revoke her citizenship.